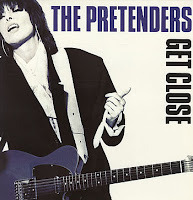 Last Friday, I headed to Roseland to see The Pretenders. I've always admired the tough-but-vulnerable Chrissie Hynde as a protofeminist icon, and we used to travel in some of the same circles. I love the songs - the rockers like "Tattooed Love Boys" more than the ballads. And I once promoted a now-legendary show at Roseland. So, wearing leather pants and a New York Dolls shirt, I was primed for the evening. And then I got there, and realized that the average age of the audience was 50. Not that there's anything wrong with that. But the absence of faces under 40 who weren't the children or bemused dates of other concertgoers made me feel like just another old person trying to capture a reminder of my vanished youth. The show was just fine - Hynde looked great and was in excellent voice. But as I cursed those around me who sang along loudly and tunelessly to every hit - I came to hear her, not her fans, and have never understood why proving you know the lyrics is considered a fitting tribute - I realized that each one of them also felt that they had a special connection to her. Maybe they remembered the first time they saw the "Brass in Pocket" video on MTV, or maybe "I'll Stand By You" was played at their prom. So my memory of her and Ray Davies in a drunken argument at the bar at the Peppermint Lounge wasn't necessarily anything all that special. But, like most of the memories set down here, it was mine. And the advantage (and disadvantage) of being an old person is that I have a lot of them.